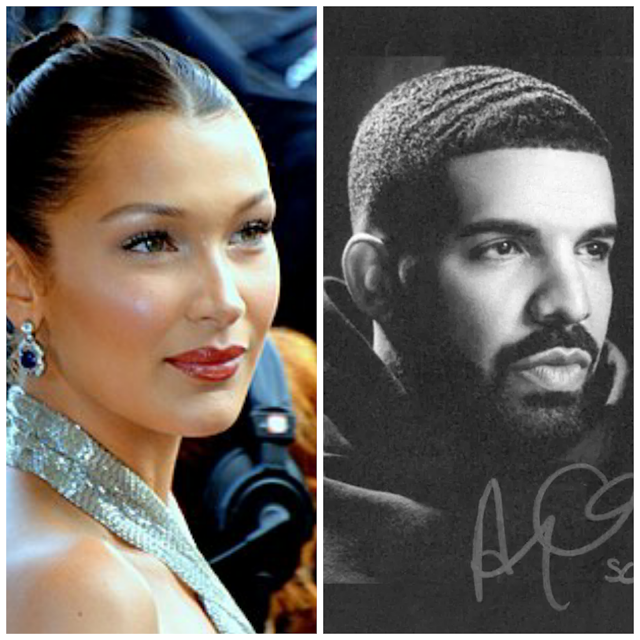 Drake Gists Bella Hadid Responds To Drake's Album, She Seems To Be Upset With It. Bella Hadid Responds To Drake's Album, She Seems To Be Upset With It. Drake just released his highly anticipated album, Scorpion. On the brand new album, he revealed a lot of juicy topics that have been developing some rumours around in the news. Drake's fans have been going completely crazy after observing that Drake actually admitting that he has a son. Well, it didn't end there , he also rapped about supermodel Bella Hadid.Isabella Khair Hadid is an American model, signed to IMG Models in 2014. For sometime now,it was rumoured that Drake had a relationship with Bella way back then . Until now, their rumoured relationship remained a mystery, but now fans believe that he's finally admitting that they had a fling! One of the tracks in Drake's Album "Sandra's Rose" Drake raps, "My house is full of supermodels just like Mohammed Hadid". Meanwhile Mohammed Hadid is Bella's father. Also In the song "Finesse" he says, "I can't even lie, I'd rather stay inside/I can't do suit and tie/Can't be in a room with you and stand on different sides/One thing at a time/I have to learn to hide/One thing at a time/Emotions running high/I wish you felt alright". He goes on to say "I want my baby to have your eyes, I'm going against my own advice/Should I do New York? I can't decide/Fashion week is more your thing than mine"It's known that supermodel Bella Hadid always walks in New York Fashion Week. It's obvious that he's talking about their rumoured relationship. He even says "You stay on my mind/You and your sister too hot to handle". He could definitely be talking about Bella and her sister, Gigi Hadid, who's also a model. disrespectful. WHY CANT PPL BE FRIENDS W/o all the insinuation." It looks like Bella is letting Perez Hilton and everyone else know that she never had a fling with Drake and they never dated! ,Well,it's good that she did what she did,atleast we're happy that you told everyone your truth.